Want to buy a GPS Tracking Device? We sell the best GPS tracking devices, with user-friendly manuals, free UK delivery, and free SIM cards if you need them. It’s why our customers love us! 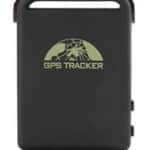 Click here to buy a GPS tracking device from our selection. Our most popular GPS Tracking Device is an excellent watch, mobile phone and tracker in one! 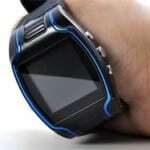 It can be worn like a watch – yet is also a mini mobile phone and reliable GPS tracker using the latest chip-set. Anyone with a mobile phone can locate the GPS tracker by sending a simple text message – the coordinates are then automatically sent by reply. The reply text also contains a link to Google Maps so you can load up the map if you have a smart phone. The GPS tracking device also has an onboard mic and speaker, and can make and receive calls. Two small buttons on the side can call two preset phone numbers. An SOS button texts and calls the phone numbers automatically should the wearer get lost or in trouble. The GPS tracking device also has geo-fence management, so you can set it to send an alert text if it strays too far from a certain point. The Mobile Phone GPS Tracking device features all the excellent GPS tracking functionality of the GPS watch above, but is also a fully functioning mobile phone. It also has an FM radio and flashlight. 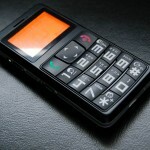 With large user-friendly buttons, its perfect for the elderly or anyone with Alzheimer’s. Never get lost again! Our GPS Mini Tracker is perfect if you want to buy a GPS tracking device for a car, or to use as a hidden surveillance device. It features locate-by-text, geo-fence management, online tracking, and remote listening. Calling the tracker activates the onboard microphone, so you can listen in to the surroundings. This mini GPS tracking device is popular for vehicle or asset tracking.